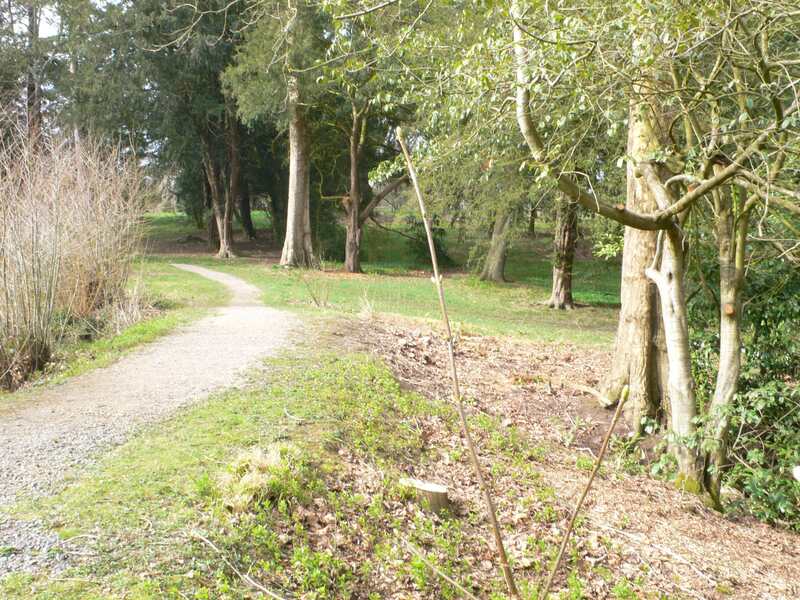 Location: Eastnor Castle, Nr Ledbury Herefordshire. 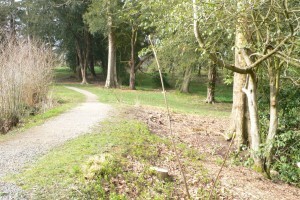 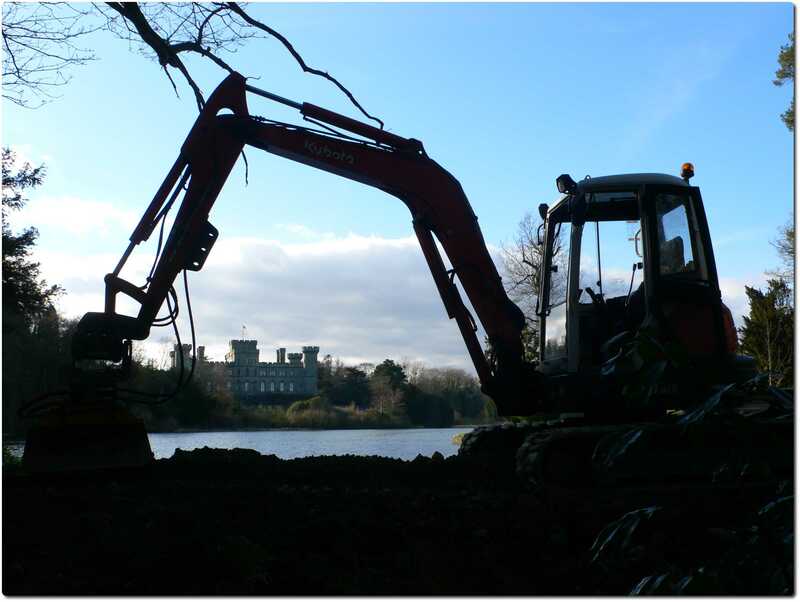 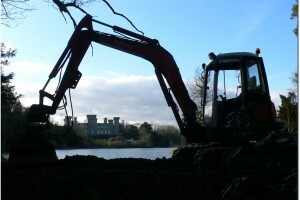 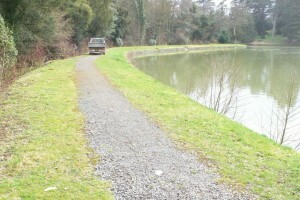 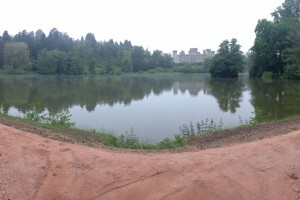 To comply with Environment Agency Reservoir Act legislation the Eastnor Castle lake required alteration to allow it to have a pre-determined storm surge capacity. 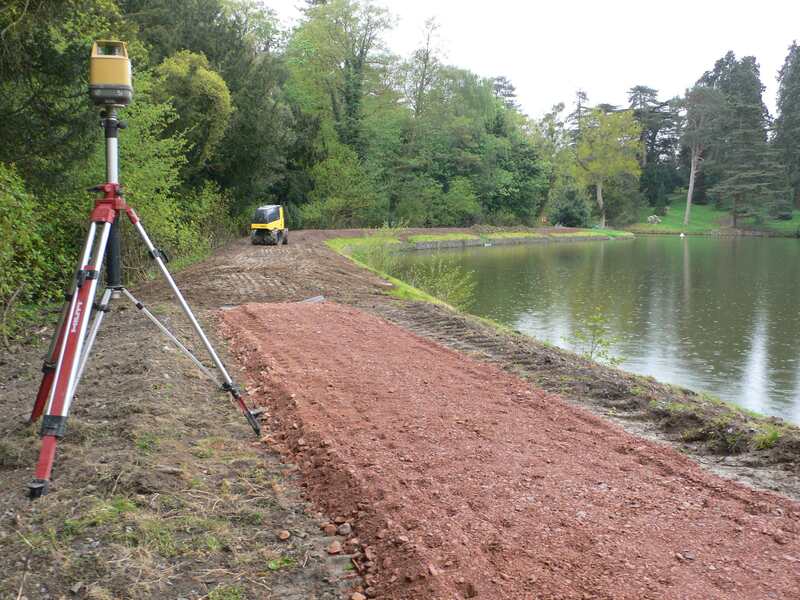 Detailed site plans and specifications were provided by Fairhurst engineers for the proposed works. 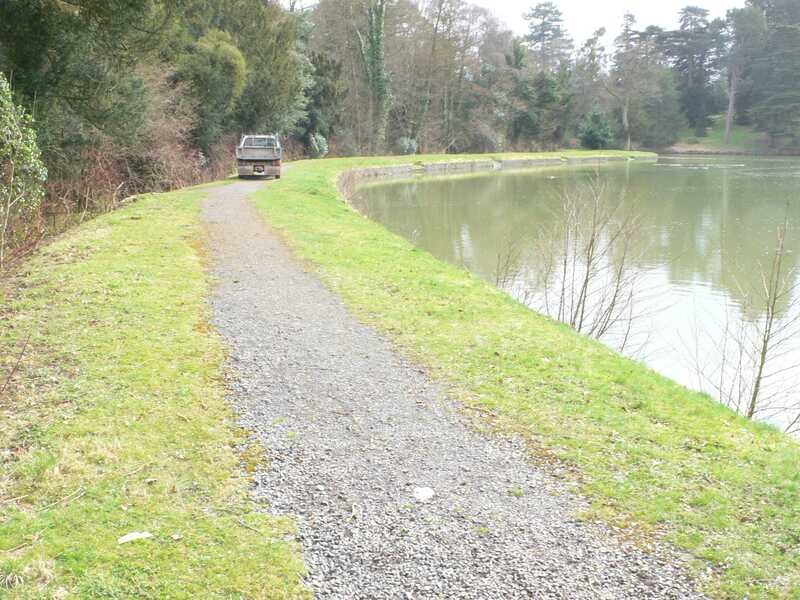 RMS Services brought in and compacted around 1100 tonnes of sub grade material to raise a section of the dam embankment approximately 250m in length by depths ranging from 0.15m to 0.8m to bring it above the required height. 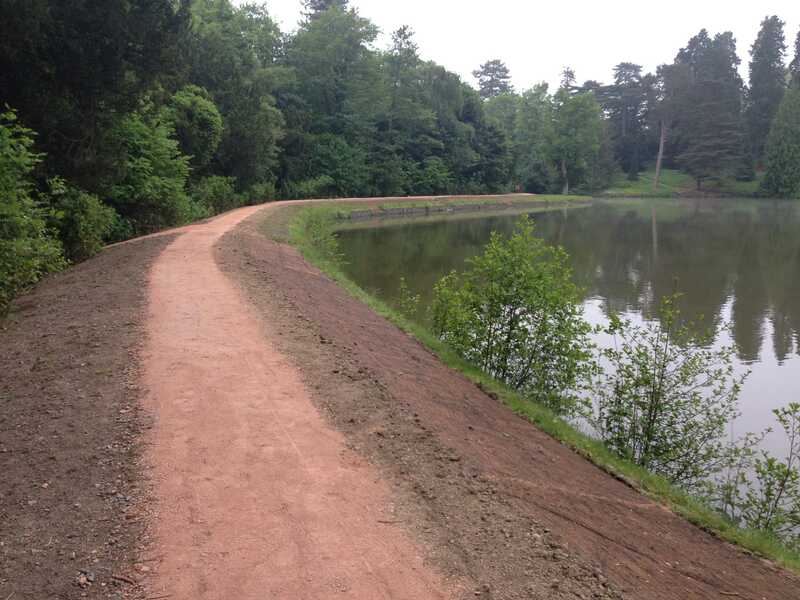 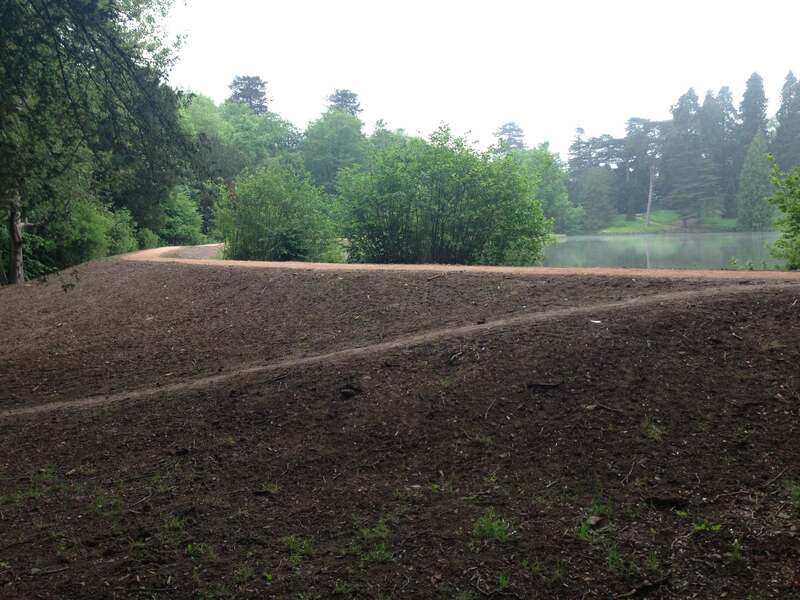 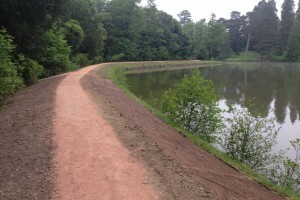 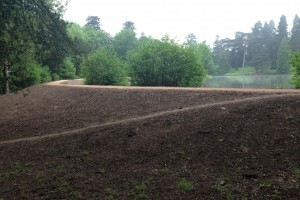 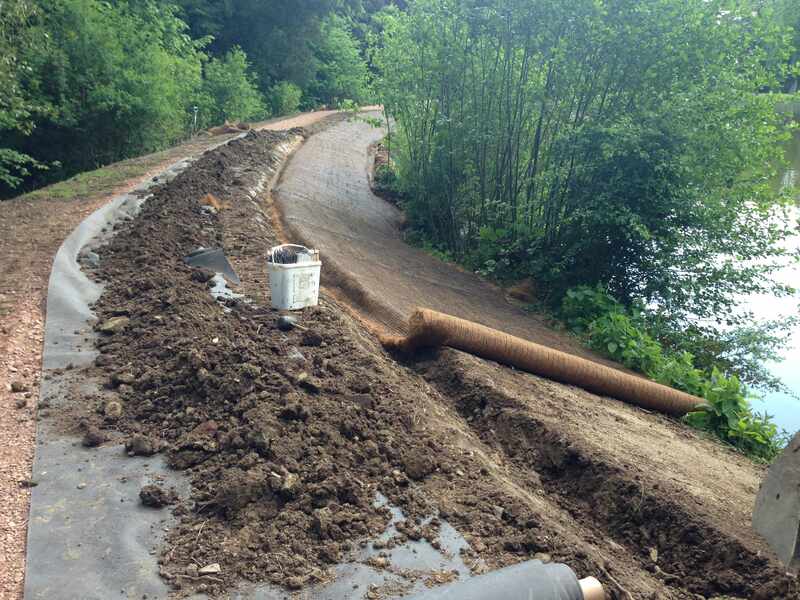 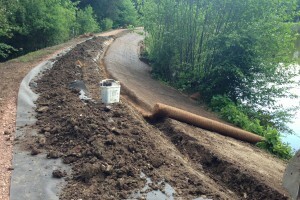 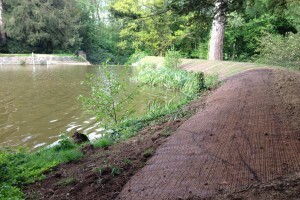 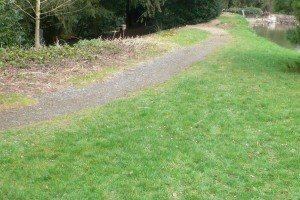 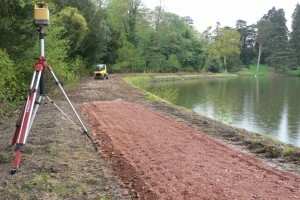 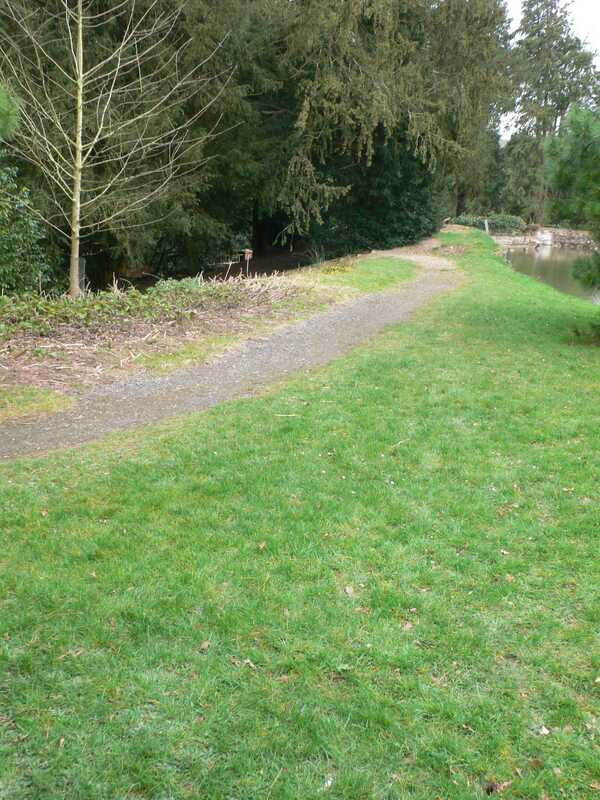 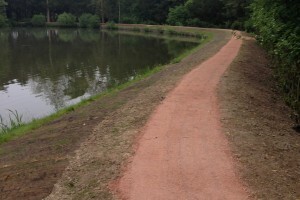 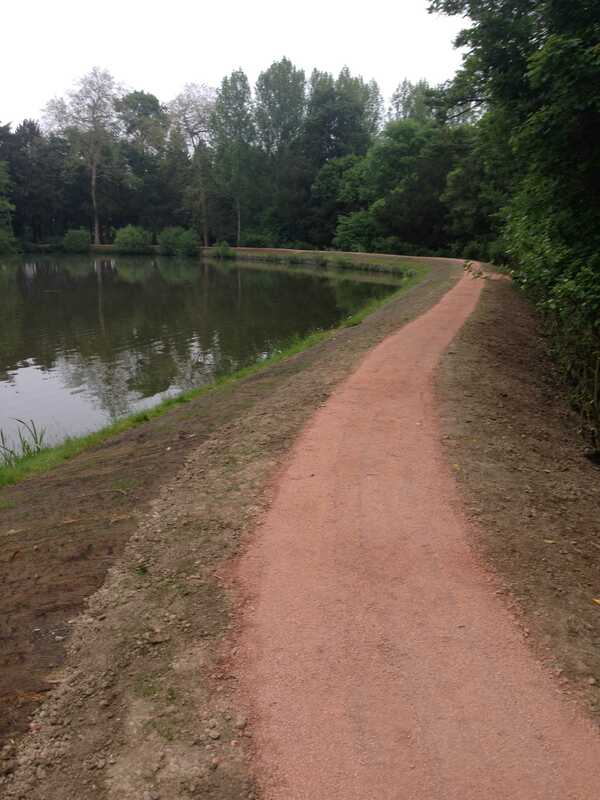 The new embankment was then top soiled, seeded and Permanent Erosion control matting installed to the lakeside slope if the embankment. 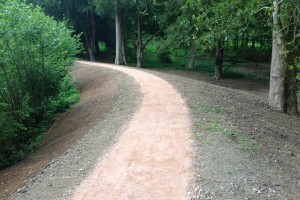 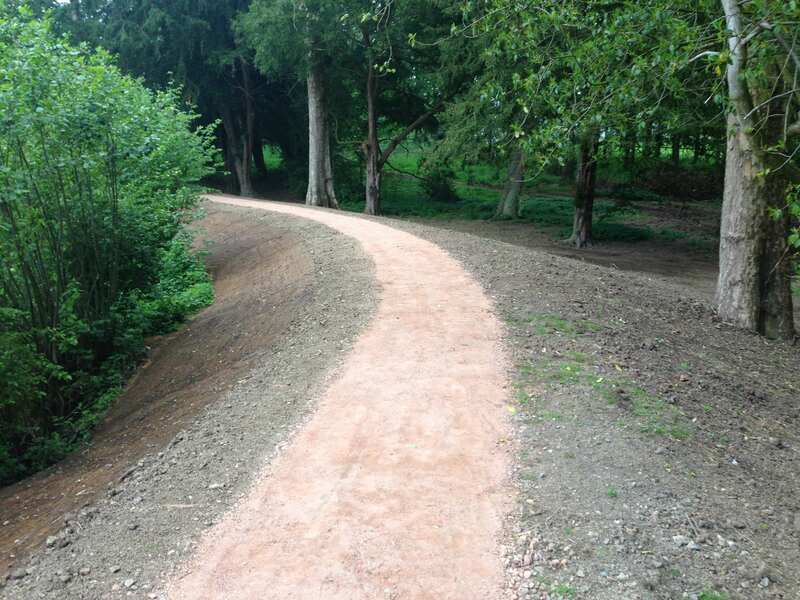 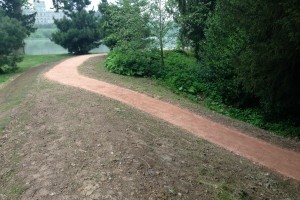 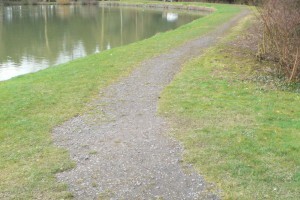 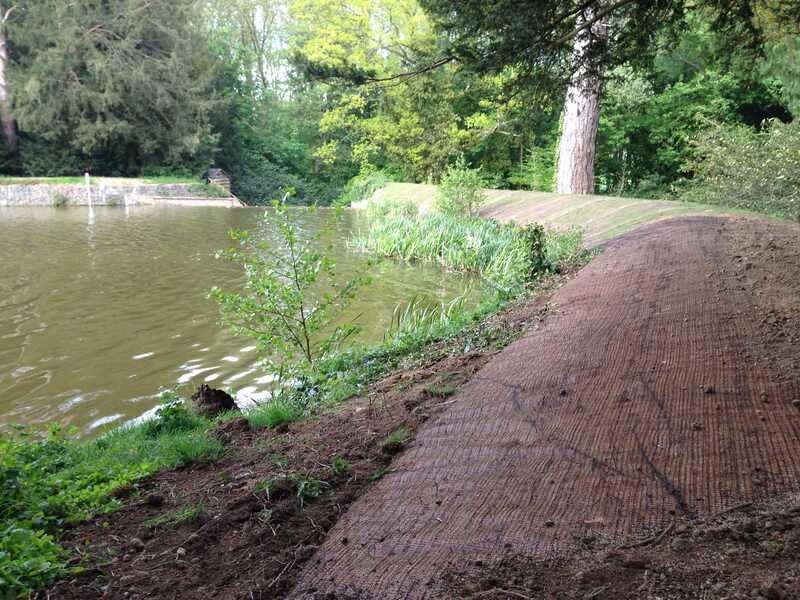 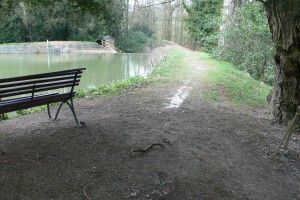 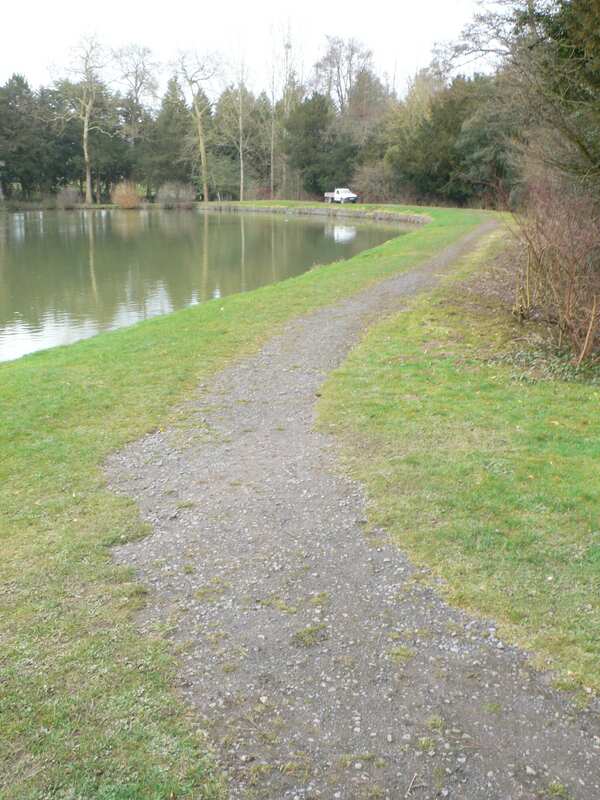 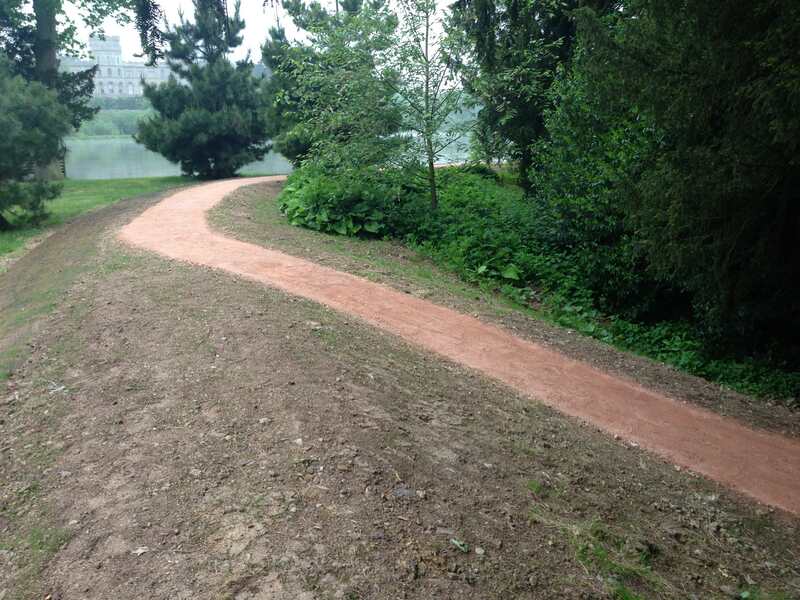 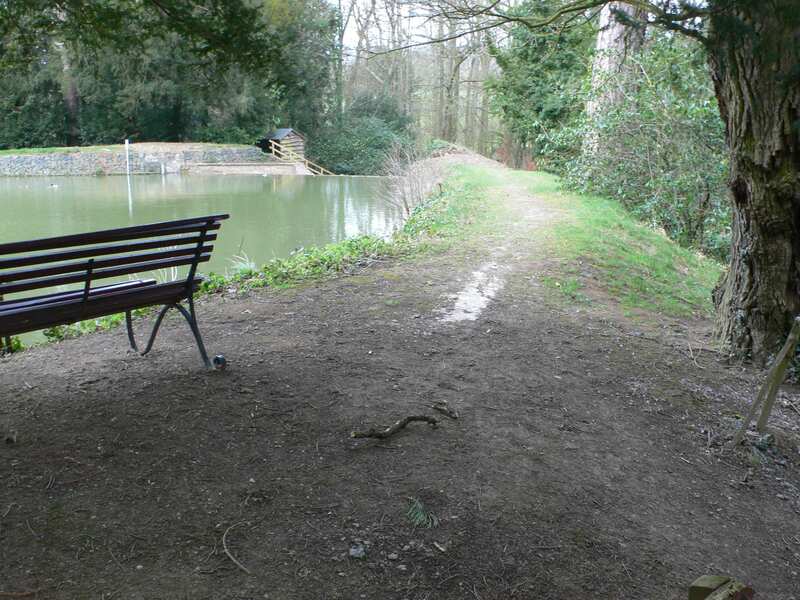 The Footpath was then re-instated using an MOT type 1 stone base layed over geotextile membrane and the path surfaced with 10mm to dust from Stowfield quarry.